This home/site is a great value. Motor boating/Water skiing. 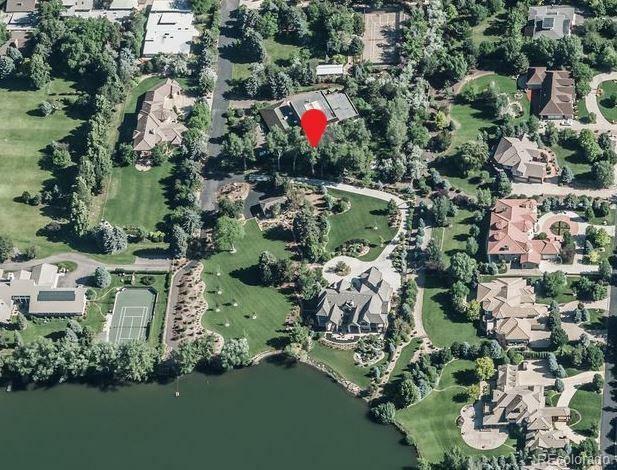 This home sits on 1.32 acres in this exclusive private gated community with lake access and motor boating/water skiing. Adjacent to Ward Reservoir. You will know from the moment you enter the two story grand foyer/art gallery that this home is something special. With 3 bedrooms, 6 bathrooms, and a little over 8,400 square feet of living space, this footprint provides endless possibilities. The details throughout this sprawling estate include a 50 person seated media theater. This is a must see!!! Don't forget the outdoor areas with mature trees and professional landscaping. Walk your grounds or take a dip in the lake, all while enjoying the most amazing views. This home is waiting for some TLC with your creative touches. 20 minutes to Downtown, DTC and Cherry Creek North. Property is sold AS IS.